Despite the fact that I haven't seen or read 50 Shades of Grey, I think we all know the basic gist of the story. 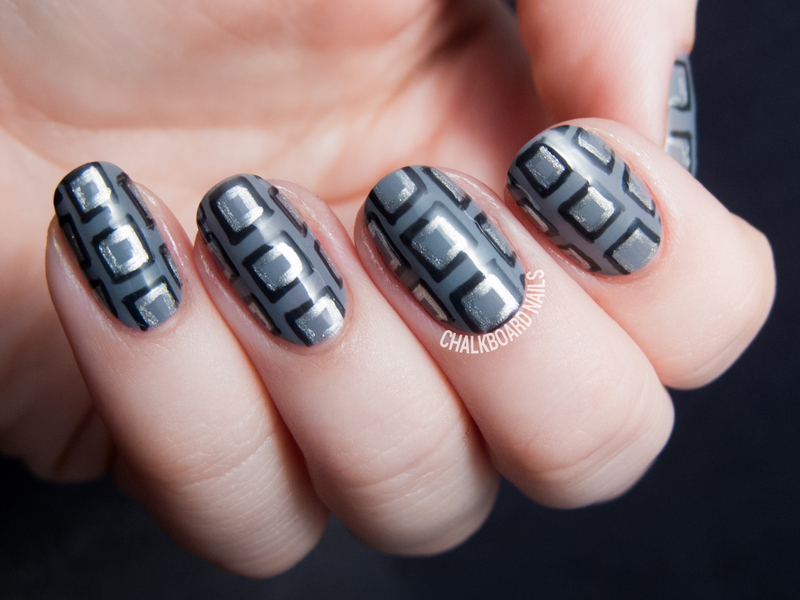 OPI's 50 Shades collection includes a range of six shades - five greys and a red - and I used three of them to create this nail art look today. I chose a geometric pattern, one that you might find on a necktie, which fits with what I know about the story quite well, I think. I began by painting my nails with two coats of Embrace the Grey. It applied smoothly and evenly, like OPI cremes usually do! I painted on a freehand square pattern using Dark Side of the Mood, and then added the silvery squares inside them with My Silk Tie. What do you think - Christian-esque? Ya know, even though I haven't seen the movie or read the books, I can get behind a good geometric pattern any day of the week! What about you - have you "Embraced the Grey"? 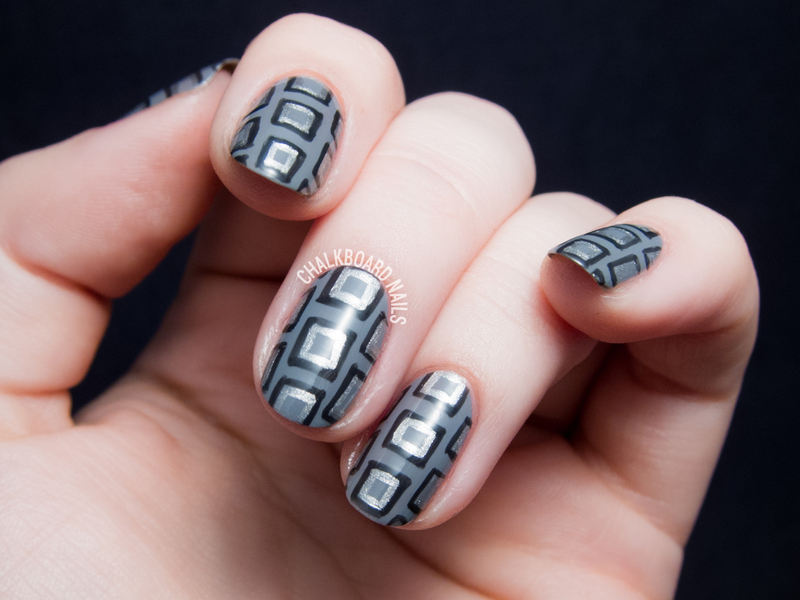 Really nice patterned nail art! Awesome! I just got the minis and haven't tried them yet. I love this idea!